Earlier this week, before Winter Storm Leon arrived in Raleigh, I was invited to stop by Offline offices. I had the opportunity to meet a few of the team members and sit down with them to talk about the website and my user experience. During the conversation David, one of the creators of Offline, asked me how I find out what's going on in the area. This inspired me to put together a list of the online resources that I often use when I am looking for fun things to do in Raleigh. If you are new to the Triangle, in town for a weekend visit, or if you are expecting company and looking for new idea to fill in your calendar, these resources will help you see what events and activities are coming up. • Yelp Events - Even if you don't have a Yelp account you can easily update the website to feature even listings in your area. • Triangle.com - Upcoming events, movies, concerts, and more. Easy to navigate and search by event type, city, time and holiday. • Downtown Raleigh Alliance - One of the best event calendars to find out what's happening in Downtown Raleigh. View each month at a glance. Subscribe for weekend updates in your inbox. • North Carolina State Fairgrounds - Most people venture to the fair grounds once a year for the NC State Fair, but there is so much more to do at the fair grounds all year long! Events calendar listed by month. Most events have inexpensive admission and many are completely free. • Live Work Play - Raleigh, NC - From live music, to local cuisine, to one-of-a-kind events, you can find out what's going on in our beautiful city! • Red Hat Amphitheater - My favorite place in the city to see live music! It's in the heart of downtown, so after shows it's easy to keep the night going at your favorite downtown spot. 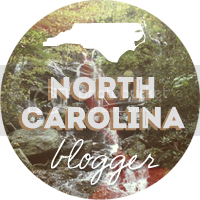 • The Triangle Explorer - Regular posts about things to do, places to go, and upcoming events happening in Raleigh, Durham, and Chapel Hill. • Triangle Food Blog - Weekly roundup of local restaurant news, food truck roundups, and food related events. • Offline - Not quite an event calendar, but more like a directory of experiences to be discovered in Raleigh. There are featured lists with fun themes like Sweet Tooth, Cheap Dates, and Shop Local that will challenge you to step outside of your comfort zone. Users can upload photos and check off experiences as you adventure your way around town. 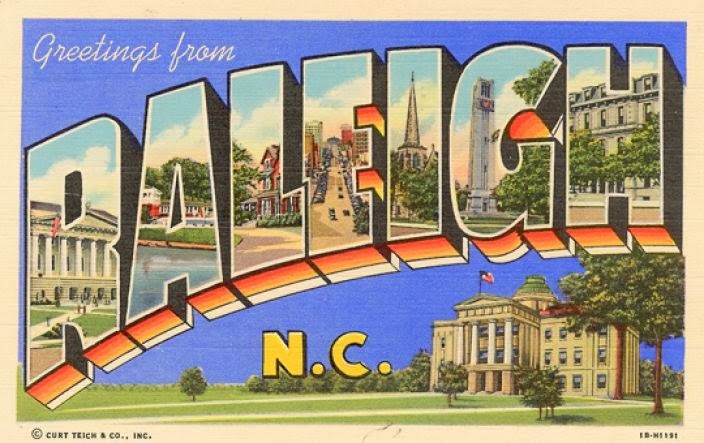 • visitRaleigh - The website for the Greater Raleigh Convention and Visitors Bureau has a good Things to Do business directory and a section with 1/2 day, one-day, and two-day itineraries. There is also a calendar of events, but it's not my favorite. • eNewsletters - I have signed up to receive email newsletters for my favorite restaurants and businesses in the area. I will often discover events this way that are not listed on a website or anywhere else. If you live in or around Raleigh and have websites or suggestions for other online resources, say hello and leave a link and a description in the comments below. What adventures do you have planned for this weekend?